Check out the schedule of events below!! Make an ornament and get a giving tree prize! Chair Massage during the event! Color you own Mandala or make reindeer food! 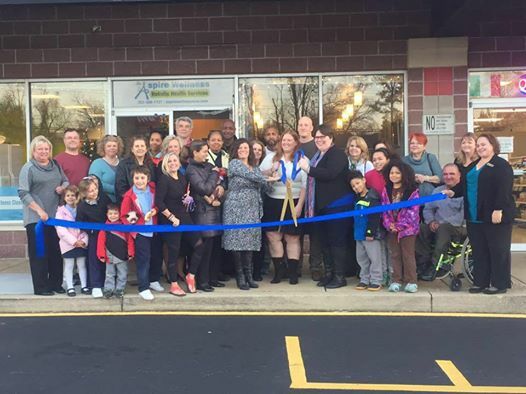 ​We THANK YOU for making our 1st year in business so successful and exciting! 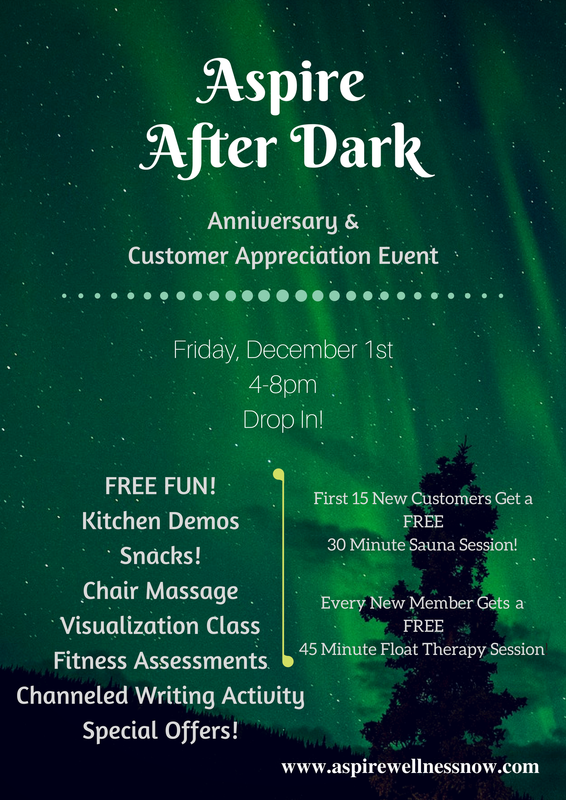 We would like to invite you to take part in our ASPIRE AFTER DARK event, taking place on Friday, December 1st, beginning at 4pm for our Anniversary Celebration & Customer Appreciation Event!